Using Parent Mode on your own device or on the child’s, parents set up routines from templates or from scratch to help their child through each part of their day, such as the steps to get ready for school. No matter what devices your family has, Brili syncs across all of them in real time. 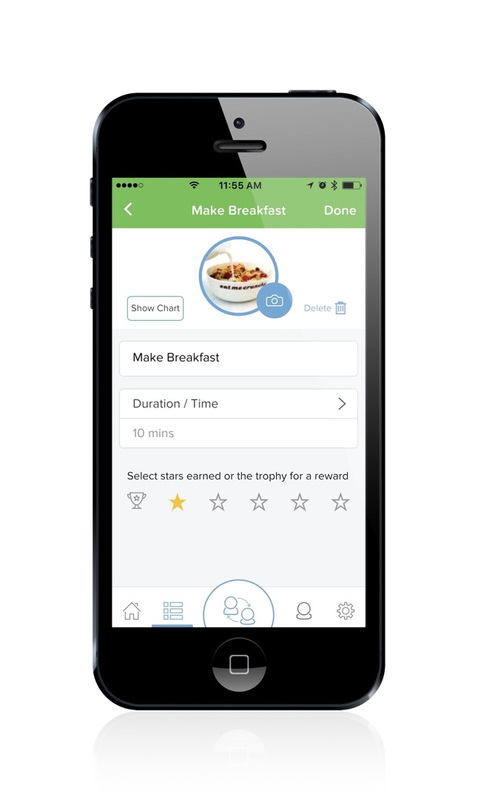 Brili displays kids' routines as a game in Kid Mode, showing them what's next, how much time they have left, and prompting them at the appropriate times to keep them on track. Parents can monitor in real time from a separate device, from anywhere. Kids benefit from reassuring structure and consistency, while feeling great about their progress. Problem behaviours are lessened, and parents get to devote more positive attention to their kids. All versions of Brili work on our real-time platform - Brili Extra adds monitoring from Parent Mode. Parents and kids receive a notification / alarm for when routines are scheduled to start, on their respective devices. If you start a routine early, your child benefits from extra free time after activities are complete. Pause the activity timer to handle unexpected events. Visual timeline shows activity context. Kids see activities that take too long eating into reward time at the end of the routine. Completing activities quickly earns more free time. If a child's time taken to complete activities exceed parents' estimated times, subsequent activity durations are dynamically recalculated to ensure all activities are completed by the desired end time. If the routine must start at a specific time, parents set that time and add activities: Brili calculates the end time. Kids earn free time for completing activities more quickly than parents' estimate. Set any duration for each activity.